Oil Color: The darker aspects of this scent have separated living a wet soil color on the bottom and a lighter yellow on stop. Bottle Design and Artwork: This is a standard vial / imp size (1/32 oz). Decanted by ralenth, the label features the notes on the back, the decanting name on the side, and the name of the scent and collection framing the picture. The front displays the image a cartoonish-looking Herr Drosselmeyer. In the Imp (ITI): Linen, verdant woods, and a hint of tobacco smoke. Wet: I still get the linen and woods, but there is a sweet aspect to this. It might be from the leather, but I don’t really get a leather note. Dry: Ah, now I get the tobacco smoke and sweet leather paired with linen and just a touch of green. It’s rather enjoyable. Scent Description and Notes: “Better to reign in Hell than serve in Heav’n. This is our song to Lucifer, Lucis Ferre, Heosphoros, the Morning Star, the Brilliant One and the Son of the Morning. He is equated with Samhazai, the Heaven-Seizer, and Azazel, one of the 200 Fallen Angels of Enoch. The essence of overweening pride and unearthly angelic beauty. Oil Color: A deep ruddied orange color. In the Imp (ITI): Hmm, that’s an interesting blend. Violet and other heady florals are dominant, but I can pick up musk, sandalwood, and a touch of amber. Wet: The amber and sandalwood are a bit stronger on my skin, but the violet and florals still try to steal the show. 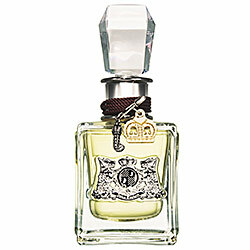 Dry: After a few hours, violet, florals, vetiver, and sandalwood are all that faintly remain. I wish this had more staying power, but the throw when first applied is excellent. Oil Color: A light rum color. Bottle Design and Artwork: This is a standard vial / imp size (1/32 oz). The label wrapped around the bottle features an Art-Deco inspired clockwork structure with the the name of the company at the bottle of the image. On the other side, the title of the scent written in large, clear black font outlined with red on the front. In the Imp (ITI): Warm amber and musk, almost to the point of marzipan, followed by just a hint of light dusk and dried grass. Wet: It’s identical to the imp, which is nice. I’m starting to like the combination of amber and musk on me. As it starts to dry, I get some woods notes. Dry: After a shower, there isn’t anything left. On second dry-down, it smells like faint, dried grasses, musk, and the impression of amber. Scent Description and Notes: “A victim of her own arrogance, conceit and hubris, Arachne, the greatest mortal weaver, had the temerity to claim herself superior to Athena. Arachne was truly gifted: not only was her art astoundingly beautiful, but the vision of her in the act of weaving was a joy to behold. When one observer commented that her skill was so great that she must have been trained by the goddess Athena herself, the proud woman scoffed: she was insulted, and proclaimed aloud that the goddess could do no better than she. Athena heard this, and, as she is not a vindictive or jealous goddess, gave Arachne the opportunity to redeem herself. Disguised as an elderly woman, she came to Arachne and warned her against hubris. She laughed at the old woman and declared that she would welcome a contest with Athena. The goddess accepted the challenge. Athena wove a stunning tapestry depicting her victory over Poseidon, thus gaining patronage over the city of Athens. Arachne, who couldn’t leave well enough alone, wove a vulgar piece that depicted Zeus’ dalliances with Leda, Europa and Danae. Appalled at the woman’s audacity and blasphemy, Athena tore Arachne’s tapestry to shreds, crushed her loom, and bonked the mortal on the head, forcing her to feel remorse for her actions. In guilt and grief, Arachne hung herself. Again, because the goddess is merciful, she took pity on the woman and, after sprinkling aconite upon her corpse, transformed her into the first spider. In the Imp (ITI): Powdery florals, but much lighter, and has fruity note like mango. It’s rather feminine. Wet: Very similar in the imp, but there is a soft herbiness, like herbes en Provence. The fruitiness now reminds me more of bubblegum and.or lotus. Dry: Dusty herb and lotus or some other type of floral I can’t pick up. It’s feminine, but there is something to which I’m not responding well. To the swap pile it goes. Other Impressions: According to Tony, it smells like one of those flower soaps perched on a shell on the back of a toilet. In the Imp (ITI): Yep, that’s banana ester…not my favorite note in the world. There is a little floridness to the scent as well. Wet: Close to overripe bananas with an astringent quality from perhaps the woody aspect of this note combination. There is a very tropical floral in there fighting to be acknowledged next to all that banana. Dry: After 1o hours, I smell narra and palm and a subtle sweetness from either the banana or the blossoms. I like it dried much more than wet or in the imp. Other Impressions: If you like unusual tropical scents, this might be for you.